DAYTON, Ohio, Apr 09, 2019 (SEND2PRESS NEWSWIRE) -- Collaborative Agile Solutions LLC (CAS) has teamed with Sumaria Systems Inc. to provide the Air Force Life Cycle Management Center (AFLCMC) Medium Altitude Unmanned Aircraft Systems (MAUAS) Division with Enterprise Agile Project Management Strategy Support. CAS is a Service Disabled Veteran Owned Small Business (SDVOSB) uniquely crafted to provide operational insight into the application of Agile Project Management principles in a Department of Defense (DoD) program office. 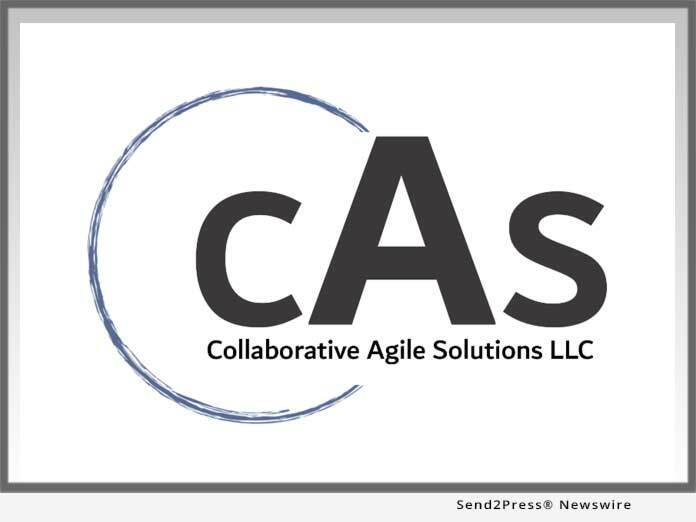 "Through Agile training, coaching, and mentoring services, CAS works alongside product teams through the Agile transformation, tailoring training curriculum and services around specific organizational structures, projects, stakeholders, and challenges," said Jamieson Pierce, President of Collaborative Agile Solutions. Sumaria Systems, Inc. is a CMMI(R) Level III appraised and ISO 9001 certified information technology, engineering, and professional services company headquartered in Danvers, Mass. Since its inception in 1982, Sumaria has provided a wide variety of Information Technology (IT) and Advisory & Assistance Services (A&AS) to the U.S. Department of Defense (DoD) and Government agencies. More Information about Sumaria Systems is available at https://www.sumariasystems.com/.